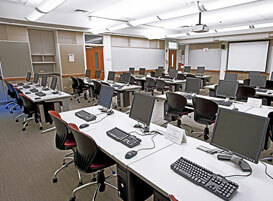 The UCLC Conference Center features three separate computer labs, each with 32 networked computers connected to a common printer. 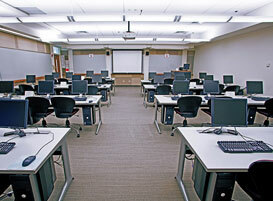 The instructor podium includes a networked computer, LCD projector, cabling to connect a laptop, DVD and VHS players and a document camera. Wi-Fi is available. Food and beverage are not allowed in the computer labs.